As a growing number of Americans become more and more frustrated with their healthcare experiences, Ardina™ is excited to announce its official launch this coming June. Founded in Columbus, OH, Ardina is a healthcare membership program providing 24/7 telemedicine support with licensed physicians as well as discounts on out-of-pocket healthcare expenses like prescriptions and dental services. Ardina will be available in most states starting June 2015. A select group of startups, including Columbus-based ContentVia, have already joined Ardina and will begin offering the new membership program to their employees as a benefits program this summer. Ardina is NOT insurance, but is instead a complement to insurance. Ardina provides access to digital healthcare services and discounts to reduce out-of-pocket medical expenses. Healthcare deductibles have doubled since 2003, according to a January 2015 report from the Commonwealth Fund, and to combat this Ardina is making healthcare more affordable and easier to use, with plans starting at $10/month. What is Ardina? Ardina is a digital-based healthcare membership program focused on saving members time, money, and confusion on their daily healthcare needs. It is not insurance, but a program that reduces the cost of care and makes healthcare more convenient and accessible from anywhere. What could be considered the ‘AAA membership’ of consumer healthcare, Ardina provides members with real-time assistance and relief when they need it as well as negotiated rates for other health and wellness maintenance and lifestyle needs such as chiropractic services, LASIK procedures, and even medical bill arbitration. Ardina is not health insurance, but is intended to be a complement to health insurance, just like AAA membership is a complement to car insurance. 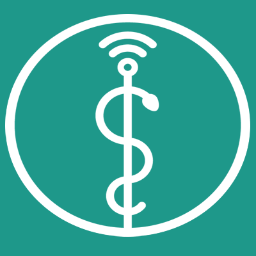 Annual Select membership fees are under $150/member annually, which permits unlimited access to teledoctors and counselors, as well as Rx discounts. What benefits does Ardina offer?